The team is wonderful and truly cares about their customers! The coffee machine is also good. 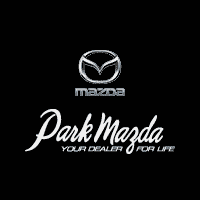 I’d recommend Park Mazda to anyone looking to purchase a vehicle. Excellent service! We have dealt with several different dealerships throughout the years, but Eddie at Park Mazda absolutely topped our customer service experiences. We had a horrible experience at another dealership in the town that will remain nameless. We spent an entire day there because they were in no hurry and didn't care how precious our time was. We wasted an entire Saturday at said dealership and were told of the benefits of a vehicle we were not set on purchasing. That dealership left a bad taste in our mouths and we weren't exactly looking forward to going to another one.When we walked into Park Mazda, the atmosphere was so much better than what we were expecting. We knew what I did and did not want going into the dealership, and I even had a list written up so we didn't forget! Eddie patiently and thoroughly helped us find exactly what we wanted/needed for our family. It wasn't about what he wanted to sell us, but it was about what we were wanting. There was no pressure whatsoever like we found at the other dealership; instead, there was only a desire to help us find the right fit for us. To Eddie, it didn't matter if we were looking at new, used, or which model, but it mattered that we were happy. I will reiterate: 100% NO PRESSURE. Such a smooth, pleasant process. From the manager to the finance department, everyone was extremely helpful. My car was damaged less than a week after I bought it. I brought it in to see if there was any hope of repair. Without hesitation, it was in the body shop immediately thanks to the amazing team there. Before and after purchase, they went above and beyond. I don't think we will shop for another vehicle anywhere else (when it is time). We will go straight to Eddie and the amazing team at Park Mazda. Edwin was fantastic and helped me walk out with the deal I needed. Alyssa in financing was also a huge help. She managed to get me some money back from an insurance plan I had made with the previous dealer. I would recommend the two of them to anyone. My partner and I had visited a few other Mazda dealerships before going to Park Mazda; however, we are very happy we ended up dealing with Thomas Olsen at Park Mazda. Buying a new car can be a very overwhelming experience, but Thomas made sure we found the CX-5 we wanted and provided service that went above and beyond. Thomas made us feel comfortable with our purchase and ensured we received the best service he could provide. If you are looking for a Mazda, please visit Thomas at Park Mazda! You will not be disappointed!